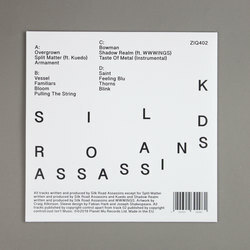 Silk Road Assassins - State Of Ruin. Vinyl LP, CD. Bleep. 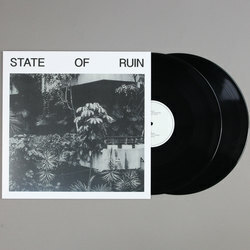 Silk Road Assassins have been chipping away at State Of Ruin ever since they dropped their first two EPs back in 2016. It’s safe to say that the hard work has paid off. On their debut full-length record the trio of Chemist, Lovedr0id and Tom E. Vercetti come through with a collection of finely-crafted futuro-club fodder. A mix of core styles - the Sadboy beats of Yung Lean, Gobstopper Records’ post-grime innovations and Metro Boomin’s spacious trap sound - are finessed with the detailed production you’d expect from a group who all have day jobs in sound design. Guest spots from Kuedo and WWWINGS only add to the vibe. 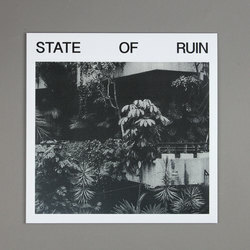 All in all State Of Ruin is a perfect Planet Mu record.